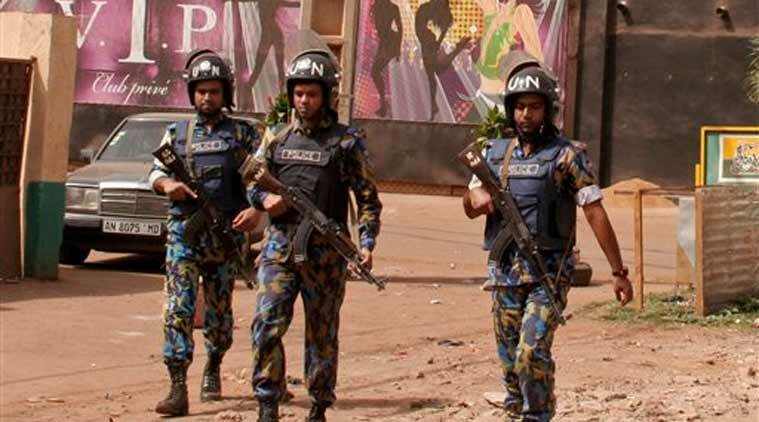 Malian police and the MINUSMA peacekeeping force said a French national, a Belgian and three Malians had died in the attack. The United Nations Security Council strongly condemned an attack on a Bamako nightclub that killed five people, including two Europeans and a Malian policeman, calling for swift justice. At least one masked gunman entered the club in the Malian capital around 1:00 am (0630 IST) yesterday and sprayed the venue with automatic gunfire and threw grenades, witnesses said. It marked the first attack targeting Westerners in a city braced for violent extremism since 2012. “The members of the Security Council condemned in the strongest terms the terrorist attack in Bamako,” a statement read. It said demining personnel of the United Nations Multidimensional Integrated Stabilization Mission in Mali and the European Union were among the dead. Hospital sources said eight people were wounded, including three Swiss nationals, one of them a woman. “The members of the Security Council called on the government of Mali to swiftly investigate this attack and bring the perpetrators to justice and stressed that those responsible for the attack shall be held accountable,” the statement said. Expressing their “deepest condolences to the families of the victims of this heinous act,” the council members urged a renewed effort to “bring lasting peace and stability” to the restive country. UN Secretary-General Ban Ki-moon joined in the condemnations, calling for a swift investigation and saying those responsible should be brought to justice. A spokesman for Al-Murabitoun, a jihadist group run by leading Algerian militant Mokhtar Belmokhtar, claimed responsibility in an audio recording carried by Mauritanian news agency Al-Akbar, which frequently publishes what it says are statements from jihadist groups.